It would be easy to walk past the shop front at 99 The Broadway and dismiss it as just another vacant store, but open the door and inside you’ll find a crucial facility that has been quietly providing a vital lifeline in the borough for the last nine years. 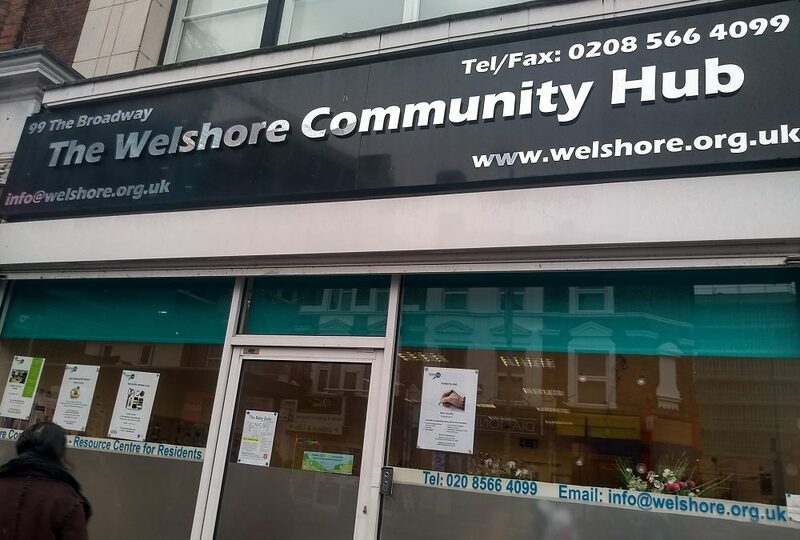 The Welshore Community Hub was originally founded in the Catalyst owned shop (next to the former Bensons for Beds) to encourage residents of the Housing Association to get out more and also to provide a support network for those who might need it. It’s now expanded beyond the Housing Association and anyone in the borough in need is welcome to make use of its facilities. 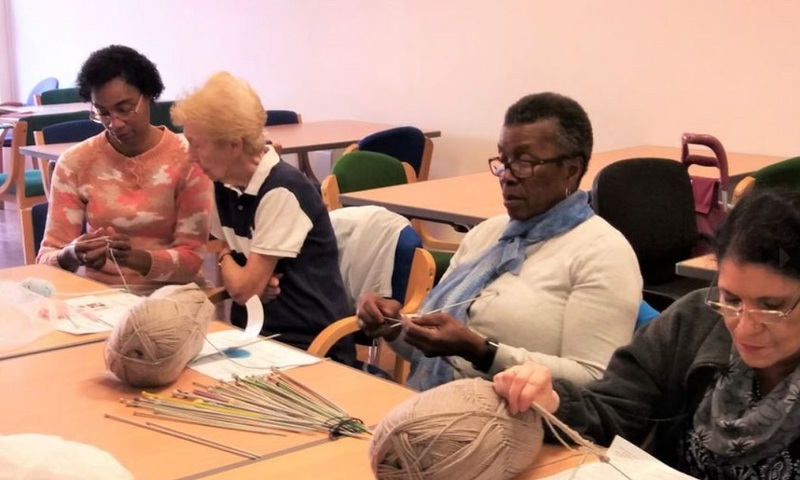 During the week there’s a regular program of activities with sessions including free legal advice, assistance filling out benefits forms, English language help, a lunch and social club for older residents, a sewing club, chess sessions and exercise classes. At the helm from the very start has been former nursing midwife Christina Tom–Johnson. Christina is operational director and originally set up the hub. 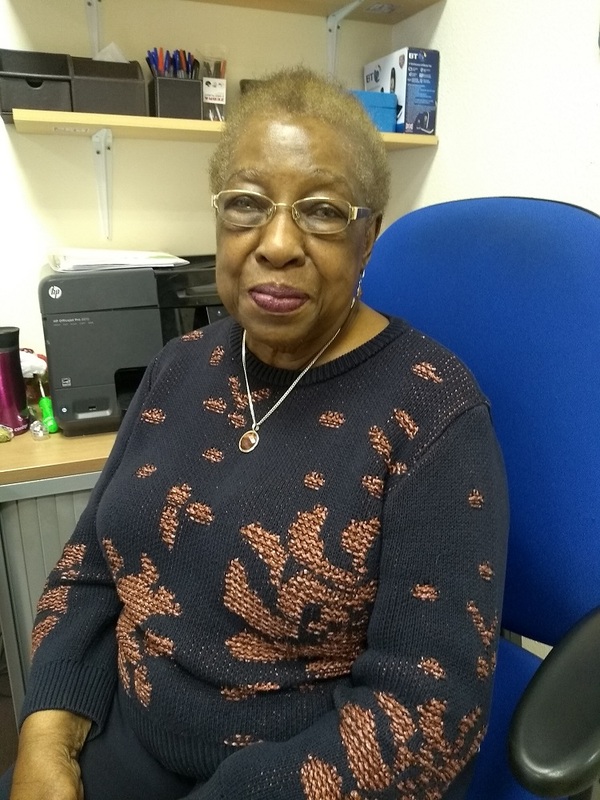 Despite being 80 years old herself, this remarkable lady says she has no intention of calling it a day volunteering there just yet. ‘’As long as I have the energy to wake up in the morning I’ll be coming here. I get such a great deal of happiness from just seeing their faces. I like to keep busy and I’m here five days a week and there’s always plenty to do. The hub is self-funded and relies on grants and assistance from organisations such as Catalyst, Pathways and the Ealing Community Champions fund. The Felix Project also provides food. Christina says she does worry about future funding because times are hard and grants are often the first things to get cut. Volunteers are always needed and Christina would welcome anyone who can offer any amount of time to help support this valuable asset. Donations would be much appreciated too. The venue is also available for hire. Further details can be found on their website www.welshore.org.uk. 99 Broadway, West Ealing W13 9BP.